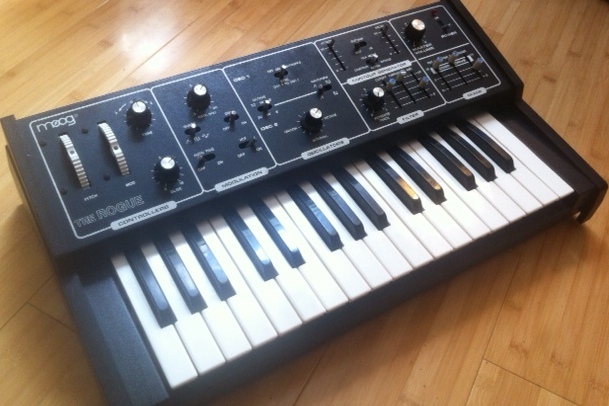 I love these little Radioshack Moogs! I have a MG-1 of my own that I overhauled and heavily modded a while ago, and I’m always happy to bring another into the shop. 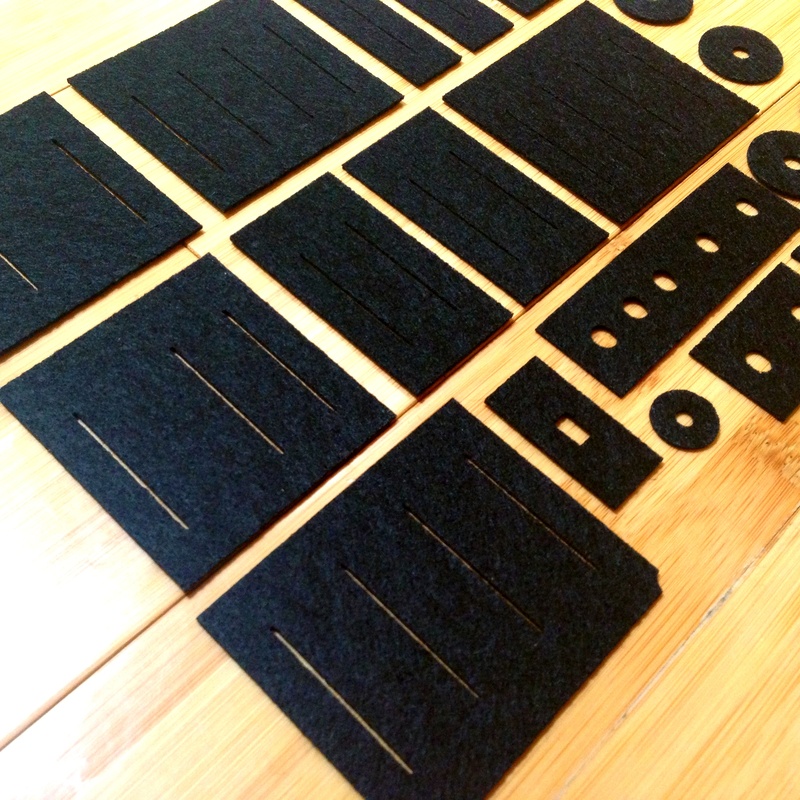 They are so simple and there are only a couple parts that are hard to find– the sliders, the switches, and the MM5823 frequency divider ICs. This MG-1 was not in too bad shape, and the foam under the panel had mostly been removed already, but had one of the three divider ICs not working. 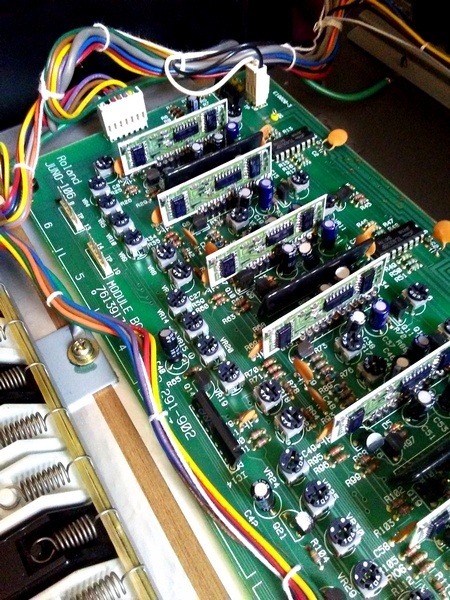 If you have several octaves of a handful of notes not playing, the MM5823 frequency divider ICs are the culprit. I found a clever replacement solution from Flatkeys, a company in the UK— a little SMD board that fits right into the place where the original 14-pin DIP IC went. There was also a slider with a broken wiper, but I couldn’t find any sliders of that type with the right value (10K) anywhere on the internet, so I bought a 2M one from Syntaur, took both apart and swapped out the resistive strips– as I was doing it, I was telling myself, “I am doing a ridiculous thing,” but it worked. This one belongs to Jeff Zeigler, a great musician who also runs the studio Uniform Recording. 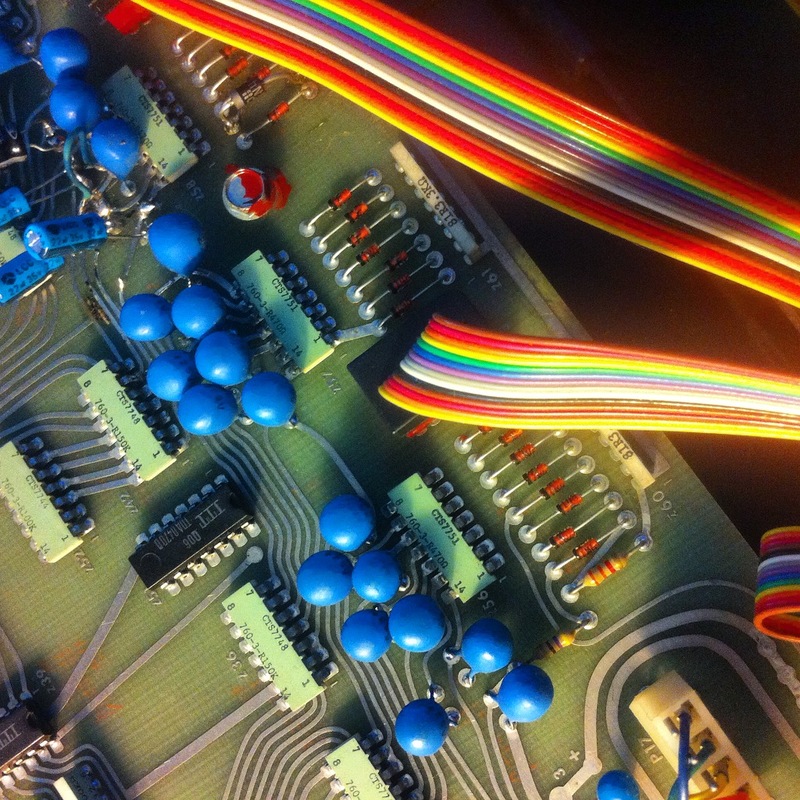 The ARP Omni 2 is a synth where a lot can go wrong, but it has a very, very repetitive internal architecture so it’s often the same problems over and over– bad logic ICs and bad tantalum capacitors (blue circles in photo above). That doesn’t mean it’s easy to fix though! 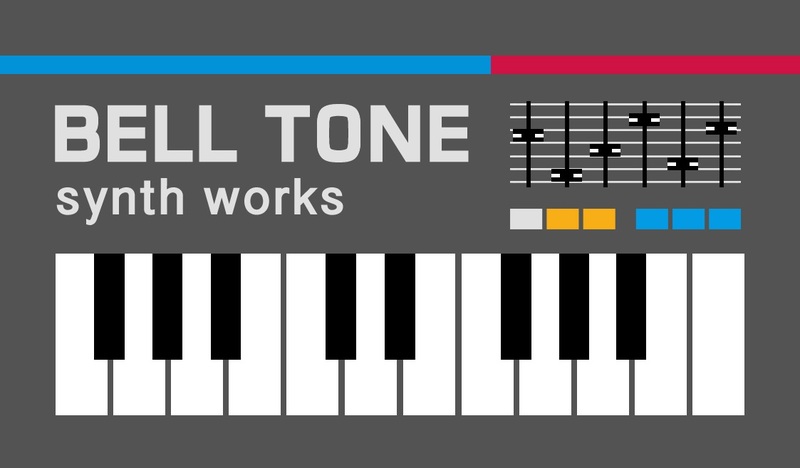 Welcome to the Bell Tone blog! 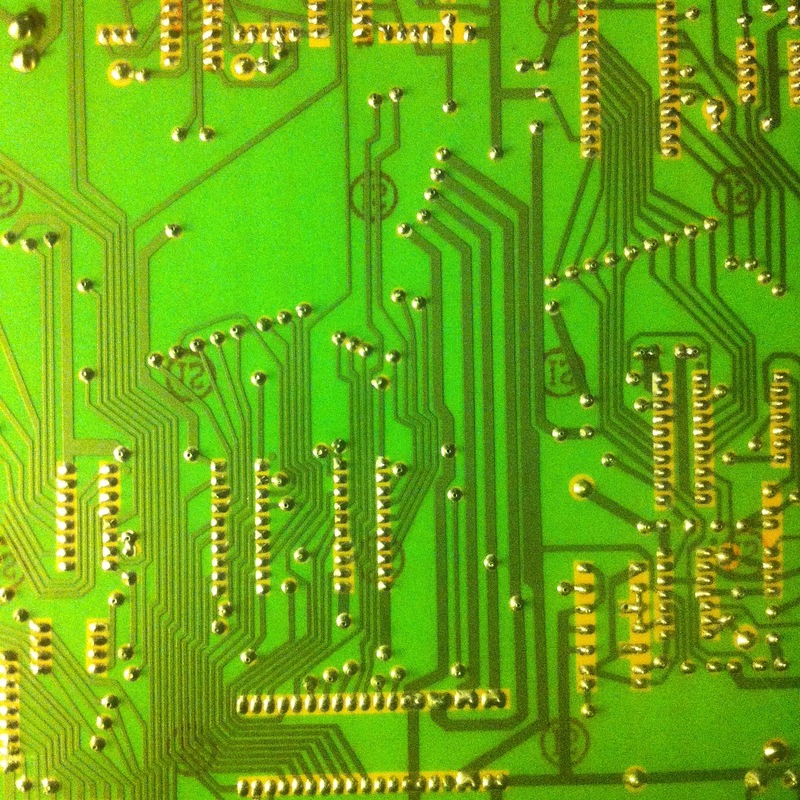 Hi friends… So after 7 years of working on synths, I’m transitioning to doing this full time and I’ve decided to start blogging about my repairs in the hope that some of my advice might help other people on their synth repair projects! I always take notes on my repairs, so I figured I might as well flesh them out a bit more and share them here. 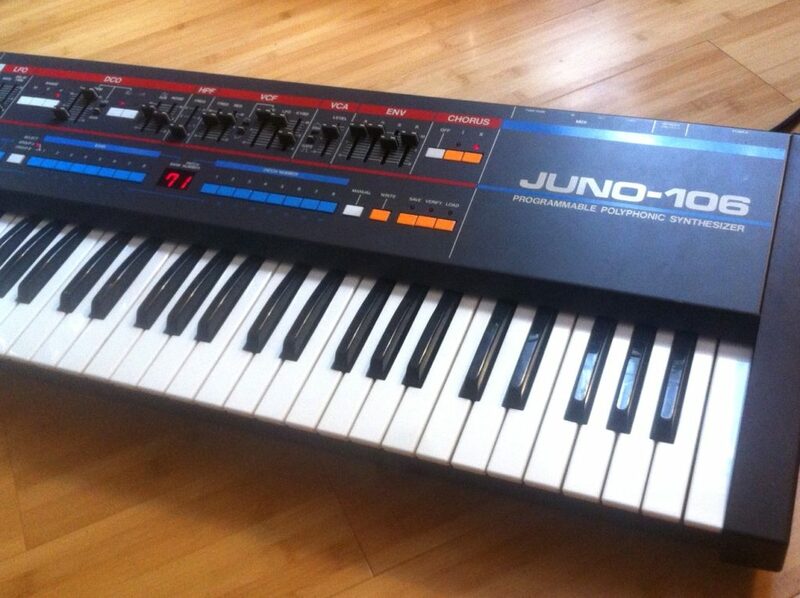 Of course– I’m running a business so I’m also trying to connect with clients, so I’d be remiss not to say here now— if you have any analog or vintage synths, combo organs or Rhodes/Wurlitzer pianos in need of a little help, please get in touch! Author AlisonPosted on October 2, 2016 August 1, 2017 Categories UncategorizedLeave a comment on Welcome to the Bell Tone blog!